Are you sick and tired of paying excessive amounts of money spent on dog food every month? I sure am, it is time to put an end to that. I am here to introduce all dog owners to a brand that is stable and low in price which is the Purina ONE SmartBlend formula. The Purina brand is overlooked by many dog owners and they choose to buy all these expensive brands such as Innova or Eukanuba which can do more harm than good. Many Innova brands for example are packed with more protein than ideal for your dog. The selective few good protein content dog food varieties stay expensive. Sometimes cost isn’t just the issue, you buy these expensive dog food brands just to find out that your dog doesn’t even like the food. In this article, I will review the Purina One SmartBlend dog food formula as well as provide you with Purina One SmartBlend Coupon codes. Why Purina ONE SmartBlend ? When it comes to taste, nutrition and price Purina ONE SmartBlend formula stands above all dog food although not always noticed. Nutritionally speaking, the SmartBlend dog contains adequate amounts of calcium and phosphorus for healthy bone development. Purina adds real meat to their dog food which your dogs will love, they also make their foods easily digestible. Omega fatty acids, Vitamin E and Vitamin-A are added to keep your dog’s coat smooth and vision sharp. Purina also cares about your dogs natural immunity and added antioxidants to ward of free radicals. Purina SmartBlend is made deliciously and with your dogs health in mind. If those reasons aren’t convincing enough, here is a picture of my American Pit Bull Terrier. She is currently one and a half year old and been on a Purina diet all her life. Her coat is smooth and her weight is ideal for a Pit Bull which is around 45 pounds. You do not have to worry about the age or size of your dog, Purina ONE SmartBlend formula is made with all canines in mind. They have the Healthy Puppy formula which gives all the nutrients that your growing puppies need. 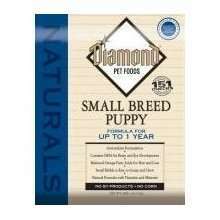 They have the Large Breed Puppy formula which is ideal for large breed dogs such as Great Danes or Mastiffs. Sensitive Systems formula which helps with dogs that have sensitive stomachs to foods. Healthy Weight formula which will be perfect for your overweight dogs and bring them down to their ideal weight. 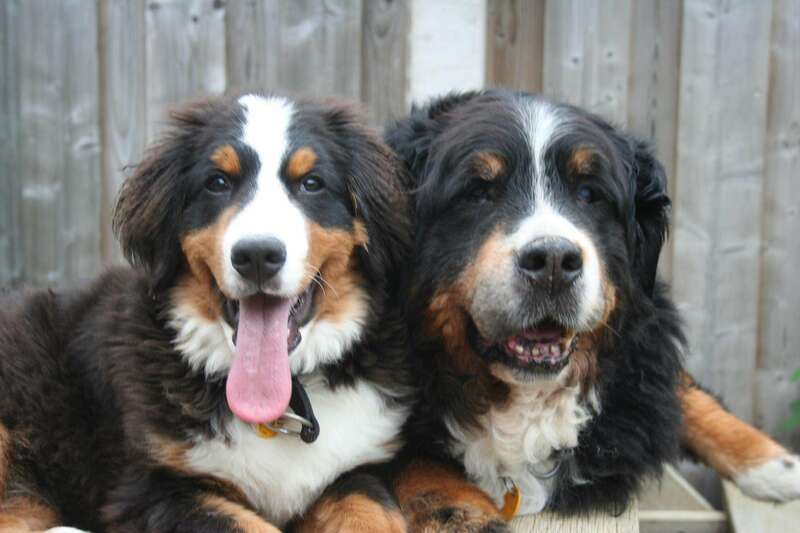 Vibrant Maturity Senior Formula for senior dogs that needs optimal nourishment to get through daily life. Even though their Lamb & Rice formula is great, most dogs prefer the taste of the Chicken & Rice formula for some reason. To save money on your Purina dog food purchases, use the Purina One SmartBlend Coupon. You can also save money on other Purina dog foods from Amazon. The Purina One SmartBlend dog food of my choice is the new Purina One SmartBlend True Instinct, Turkey & Venison formula. This dog food received many great reviews on Amazon and you can save money on shipping for a short period of time. Till this day, I feed Purina SmartBlend to my American Pit Bull Terrier along with raw foods. Do you work for the Purina Dog food company? are you vested in someway and are your comments completely unbiased? My Black Lab has done well on Costco’s dry dog food but I’m looking for something else in order to give her a change of diet. Hi Christine, I do not work for the Purina company. 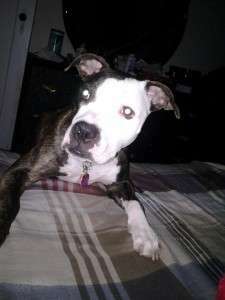 I have fed my pit bull, now 5 years old Purina Smart Blend, all of her life. She is a very active and healthy dog still. Recently, I’ve switched to Hill’s Ideal Balance, which is also a wonderful food. My dog got used to Hill’s now after being on Purina for so long, the switch was seamless without any issues. My dog seem to love both foods equally. I am sure your black lab will do great on either, Good luck. Thanks so much for your prompt reply. I need to put Chelsea on a diet. She will be 5 next Feb. The vet wants her to lose at least 5 lbs.